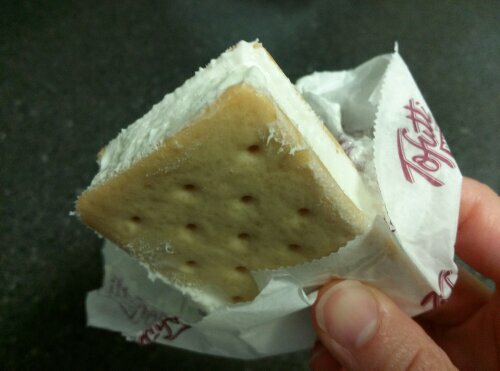 If you don’t know about my love affair with Tofutti Cutie ice cream sandwiches and summertime, you can read about it at its origin here. I’ve also tried the Mint Chocolate Chip ones, but while they were good, the Cookies n Cream are definitely our number one favorite. I had long heard good things about these key lime ones. Though they were fairly ubiquitous in Florida, I’d only really seen chocolate or vanilla at our Whole Foods or QFC in Seattle, since we moved here. (For the record, I prefer the vanilla of the two). After stuffing ourselves at Wayward yesterday (blog post tomorrow! ), we decided to swing by Vegan Haven, which is conveniently located on the same block. Since we were heading straight home after, we were able to pick up some frozen treats for a change, and snagged these along with some other goodies. What are your favorite vegan ice cream snacks? 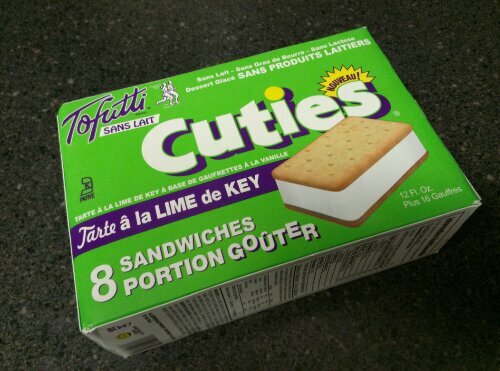 I love Tofutti cuties and get them when they are on sale. I am sooo curious about this flavor. Sounds like it would be something I like. if yo do, let me know what you think! I have seen these before, but – like you said – I always end up with something more classic. I’ve never seen the cookies n’ cream variety, but if I do I’ll definitely try them! I love cuties! If you have access to those cookies n cream, you simply must! !